At Mains of Taymouth, an award-winning, family-owned country estate, you can choose from a wide range of luxury four and five star properties, from modern apartments, to characterful stone cottages in a traditional courtyard, to large contemporary country houses, sleeping up to 12 people. Features such as comfy King size beds, widescreen TVs, luxury kitchens, and superb open-plan living areas will wow you, not to mention the fact that many of the properties have saunas and hot tubs where you can unwind together. Many of Mains of Taymouth’s luxury properties are dog friendly. If you suffer from allergies though, there are five cottages to choose from that are pet free, so something to suit everyone’s needs! 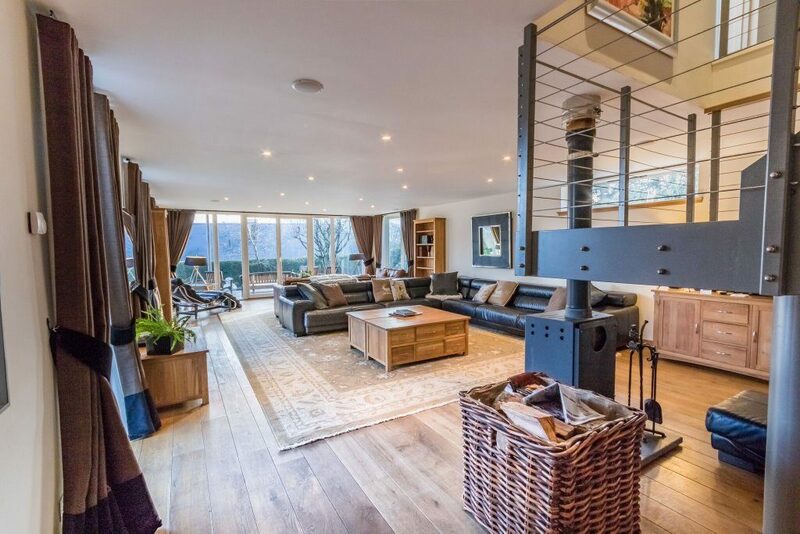 If visiting with extended family, you could opt for one of the larger properties, such as the superb Farmhouse with its modern extension, Courtyard Cottage, Mains Park Court, or one of the impressive Bruadair Houses. Ideal for couples on their honeymoon or celebrating a Valentine’s break, anniversary or babymoon, is Bell Tower Cottage, with its stunning four poster bed and beautiful bathroom, with decadent claw foot bath. Set in breathtaking scenery by the River Tay at Kenmore, Mains of Taymouth has its own nine-hole golf course and equestrian centre on site, so you won’t be short of things to do on site together. 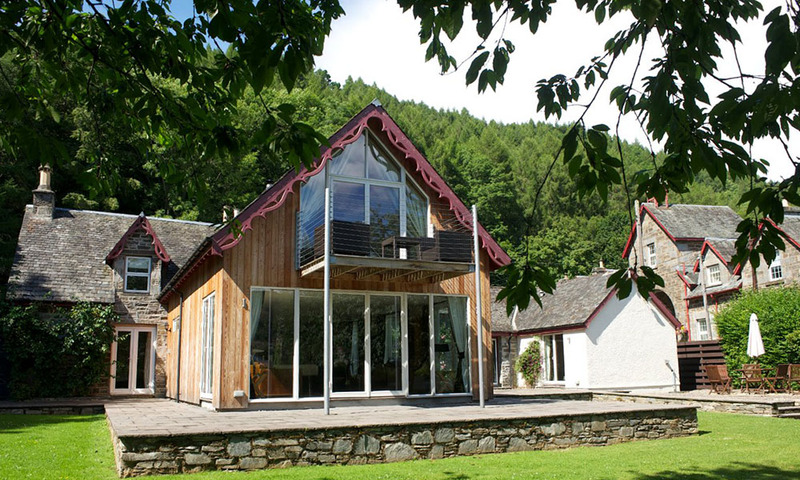 The Crannog Centre on Loch Tay is a great place for families to visit or enjoy a spot of white water rafting or a bracing walk up nearby Drummond Hill. Mains of Taymouth’s on-site Courtyard Restaurant provides a great place to eat out, serving local produce, whilst its deli and gift shop have delicious snacks, pocket money toys and ingredients for when Dad wants to cook! Kenmore is easily accessed from the Central Belt and is within an hour-and-a-half’s drive time from all of Scotland’s major cities (Aberdeen, Glasgow and Edinburgh) so you can enjoy a relaxing or invigorating break at Mains of Taymouth quicker than you thought possible! Make sure you let staff at Mains of Taymouth know if you are celebrating a special event in 2019 when you stay as they will provide you with a welcoming hamper of delicious, locally-sourced treats, along with top tips on where to go and what to do to ensure the most memorable of stays! *Staff at Mains of Taymouth look forward to welcoming you in 2019. To find out more about your stay or to book visit the website by clicking here.